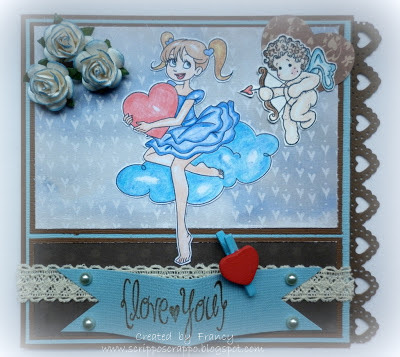 Hello everyone, I would like to share you the card that I made using a Digital Stamp "Sweet Love Collection - Love Cloud", you can find this gorgeous digital stamp on the Bizzy Becs Online Store. 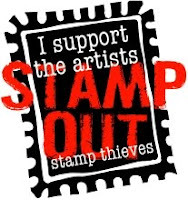 In this card I used also the Mini magnolia stamp, You can find on the Bizzy Becs Online Store the Magnolia stamps. 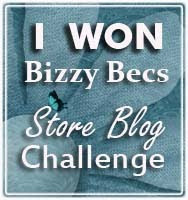 Don't forgot to partecipe on the February challenge with the theme: "Friendship", yuo can win 5 digital images from Bizzy Becs Online Store. Happy crafting by Francy and The Bizzy Becs Team.